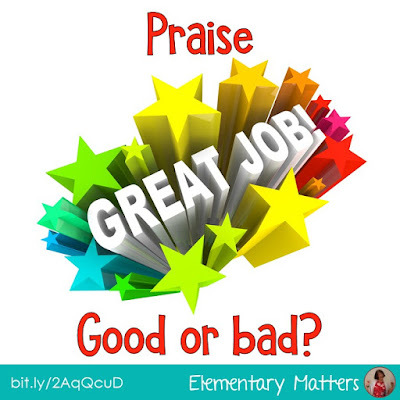 Elementary Matters: Praise - Good or Bad? Praise - Good or Bad? I've heard a lot on the topic of praise lately, and it's not always good. 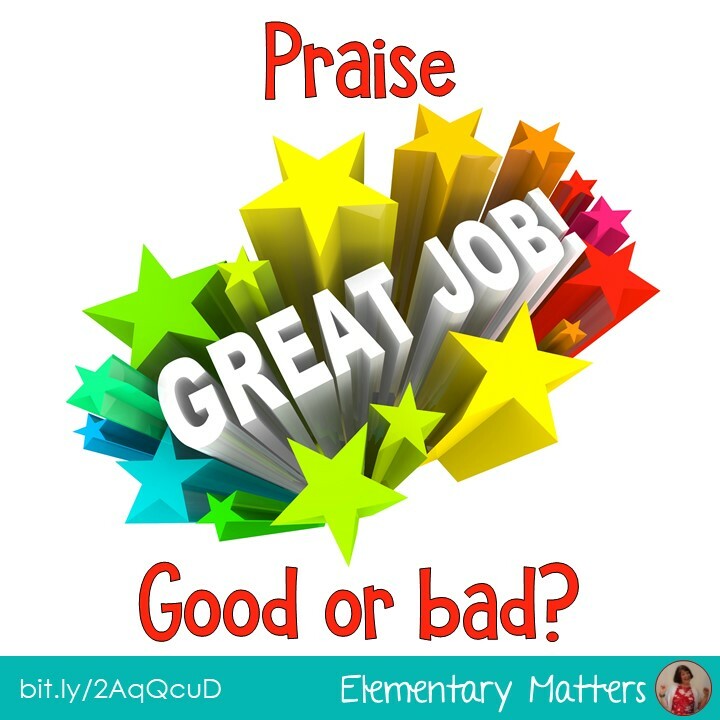 Recent discussions were about the specific type of praise we give children. Of course praise is valuable, but certain kinds of praise can have an adverse effect on children. Here's what the experts say: Don't praise a child for something they have no control over. Praise the child for something they can control. Praise the child for effort, strategies, or perseverance. Here is an example: Don't praise a child because he is smart. When that happens, a child tends to feel disappointed in himself when he doesn't do well. He thinks, "I'm not as smart as she thought I was!" It can actually lead to a child giving up or giving less effort. Instead, praise the child for something they've done. "I like the way you worked at that problem until you found the solution." Or "I noticed you figured out what this word meant, how did you figure it out?" One of the things I've loved from Whole Brain Teaching is the Super Improver's Wall. The idea is not to reward children for being smart, it's to reward them for effort. It can be effort on anything! I actually had a kid move on the board last year because he worked at remembering to bring his snack. Seriously, it can be anything! Here's what my Improvement Board looked like last year. I've seen much fancier walls, but this did the trick. They start the year at the lowest level, and have to earn 5 stickers at that level before they worked their way to the top. I really did take them all year, but many of the students felt this was their favorite thing about second grade. There was no question about them all growing as learners! (Not just the smart kids... although I have to say I get all smart kids in my classroom!) This helps children build their self esteem in a positive way. It also gives them the important feedback that is essential to learning. For more information about the Super Improver's Wall, go to the Whole Brain Teaching Website. The more I learn about Whole Brain Teaching, the more I love it! It's all about the things I love as a teacher... what works best to help the brain learn! Clip Charts: Yay or Nay? 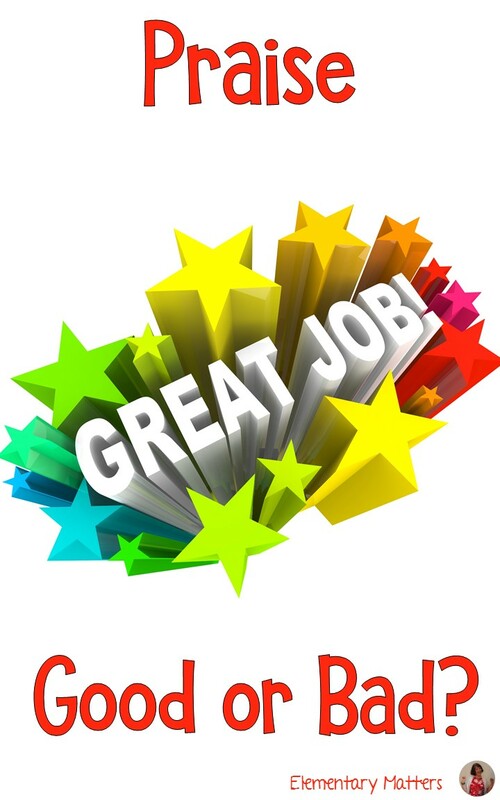 I am making a conscious decision to really think about the words I choose when I use praise this year--I think praising effort and improvement make a difference (rather than those inherent abilities). Thanks for the thoughtful post. It makes sense! I hope this helps! I just came across your blog and saw this post. 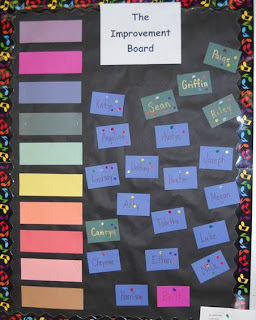 This is the second blog I've seen in the last few days about the super improver wall. I am in live with this idea. It is on my To Do list for my classroom this year. Thanks for sharing. I'm a new follower. I'm sure you and your students will enjoy it! I'm glad you found my blog, thanks for the follow! The Super Improver's Wall was the best new thing I did last year! thanks for sharing your SIW! I struggle with praise too, its very hard to get on the right track, and to keep yourself from praising kids for things they have no control over, or something not specific. I agree, it's not easy! LOVE the Super Improver's Wall. I'm going to have to spend some time browsing the link you provided at the Whole Brain board - thank you! It's definitely worth the time! I'll definitely look into it!